WTW Anlagenbau GmbH is an ISO 9001:2015 certified premium manufacturer of Auto Tracking Antennas and Pedestals for the flight test industry and also of high precision telescope mounts with 20ft control rooms for the space industry. WTW Staff is responsible for the technical development and the design of Telemetry Auto Tracking Antennas, which were delivered to customers all over the world. That are well-known customers in the aviation and aerospace industry in Europe, USA, Asia and South Africa. WTW Staff developed and designed for other companies small portable Antennas, and customized mobile and stationary Antennas with up to 6.3 m Diameter, with the tracking modes Autotrack, GPS-Track, Slavetrack, Program-Track and Manual-Track. The WTW Antennas are light weight and very dynamic. Our Mission: Customer first - Our Vision: Developing Autotracking Antennas to the customer need. Our portable light weight Auto Tracking Antenna for mobile and stationary drone (UAV) / missile short range application. Also available as WTW-LSC 20 Tri-Band Autotracking Antenna System. The web based Smart Connect GUI is running inside the Antenna. No extra Software or ACU required anymore with our internal web based GUI. It runs with any Computer, Laptop, Tablet and Smartphone, only LAN or WLAN access is required. WTW-LS 20 Dual-Band and WTW-LSC 20 Tri-Band (incl. 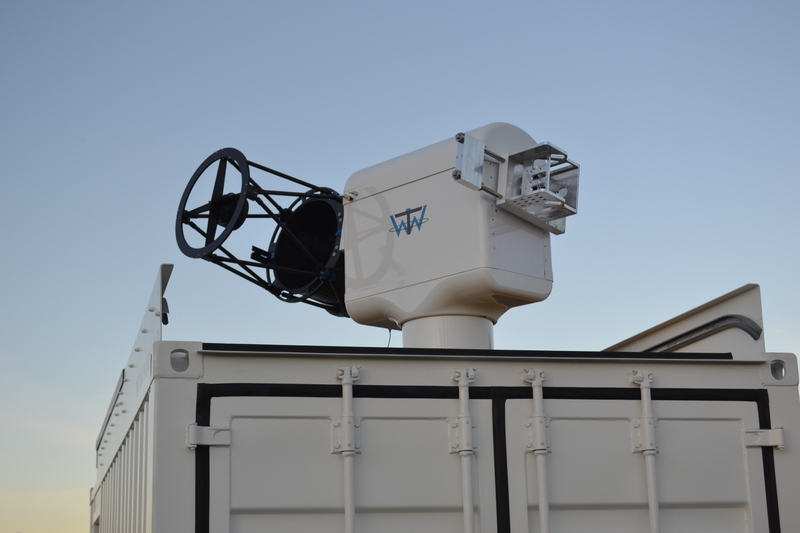 C-Band), portable, mobile dual axis Auto Tracking Antenna. Auto Auto Tracking Antennas for mobile application or Long Range Flight tests. Easy maintenance because you can control the WTW Auto Tracking Antenna via Tablet computer or Smartphone to move it in the right position or do some tests directly when you are beside the Antenna. Smart Connect GUI. Rampart Defense Solutions is a wholesale distributor in the New Market area for WTW Antenna Systems. 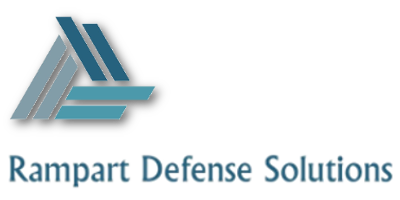 Rampart Defense Solutions has been proudly supplying products to many local and regional customers for the past twenty years. Satellite Laser Ranging (SLR) is a proven geodetic technique with significant potential for important contributions to scientific studies of the Earth/Atmosphere/Oceans System. WTW Anlagenbau GmbH has the mobile solution for your Needs. You are interested in our portable Tri-Band Autotracking Antenna WTW-LSC 20 or our other Antenna Products? Please stop at our booth 501 and let us talk about your projects and requirements. You are always welcome to ask for a personal meeting. Just get in touch with us!! 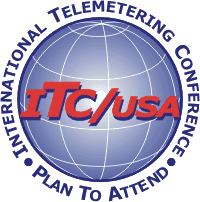 We look forward seeing and meeting you at this years ITC 2018 in October 21-24. WTW Anlagenbau GmbH is an ISO 9001:2008 certified Company. You are interested in our portable Tri-Band Autotracking Antenna WTW-LSC 20 or our other Antenna Products? Please stop at our booth 315 and let us talk about your projects and requirements. You are always welcome to ask for a personal meeting. Just get in touch with us!! You are interested in our portable Tri-Band Autotracking Antenna WTW-LSC 20 or our other Antenna Products? Please stop at our booth 2-207 and let us talk about your projects and requirements. You are always welcome to ask for a personal meeting. Just get in touch with us!! WTW Anlagenbau GmbH is a premium manufacturer for telemetry autotracking antennas using the latest technology combined with ultimate performance for Airplane, Helicopter, Missile, Rocket and Drone test on Land or Water. Our Auto Tracking Antenna Systems are designed for L-, S-, and/or C-Band. L-, S-, C-Band Tracking Antennas for Avionic and Marine Applications. The first Smart Connect GUI for antenna control through PC, Laptop, Tablet and/or Smartphone.